I am sure you must have experienced a sudden twitch in one of your eyes many a time in your life. While you may think others are noticing it too, most of the time these twitches are only noticeable to you. But have you ever wondered why does this happen and what does it mean when your left eye jumps? Besides medical reasons, there are many superstitions attached with the jumping of eyelids. There are even different beliefs connected with the twitching of left and the right eyelids. For instance, they say, if your right eye jumps, something good is going to happen. If your left eye jumps, it is a sign of something bad coming your way. Moreover, in many parts of the world, twitching of eyelids in men carries different meanings than that in women. And this is not all, eyelids jumping at different times of the day take different meanings. However, science doesn’t have much to do with these superstitions. It explains the jumping of eyes in an entirely medical context. Medicinal science looks at it as a symptom of some underlying medical stimuli which are mild. Let us have a look on both these dimensions separately. No matter what the general beliefs about jumping off the eyelid are, science doesn’t have to do anything with them. 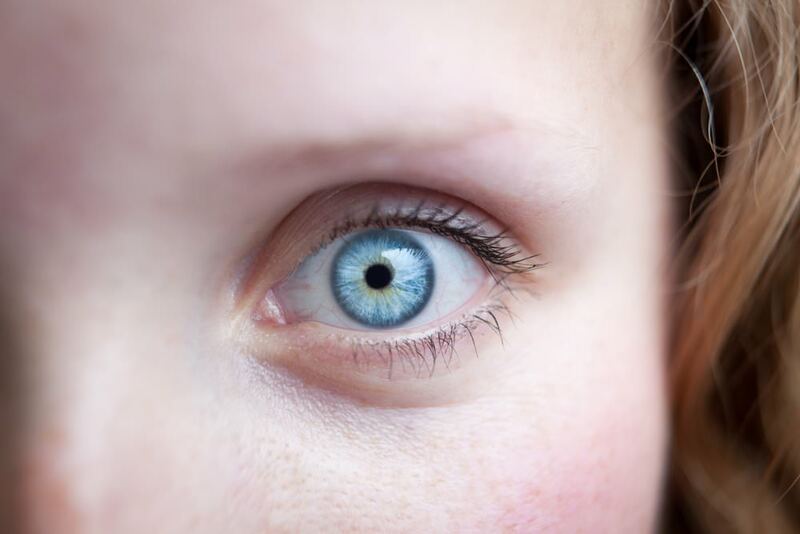 What we call as eyelid tics, eye jumping, eyelid twitches or spasms are called myokymia in medical terms. UPMC defines ocular myokymia as either the twitching of eye or the eyelid. According to the experts, these are nothing more than mere muscular movement, not worrisome in most cases. They come and go in no time. However, if the eyelid twitches won’t go for weeks or months, you must see a physician. It is very rare, however, that eye twitches last longer than a few seconds. They aren’t painful at all. However, they can be annoying if they prolong or become too frequent. Stress is one of the most common culprits of eyelid twitches. According to American Psychological Association, the stress level in America is on the rise. Around 44% report about it and their stress level is becoming increasingly chronic. It can trigger sudden twitches which may last from a few seconds to even weeks. The uncontrolled contractions are a signal from your body that you are stressing it too much. If stress is the cause behind your eyelid twitches, try to reduce it as much as you can. You can do it by hanging out with the people you feel most comfortable with. This is among the top most reasons behind jumping of the eye. 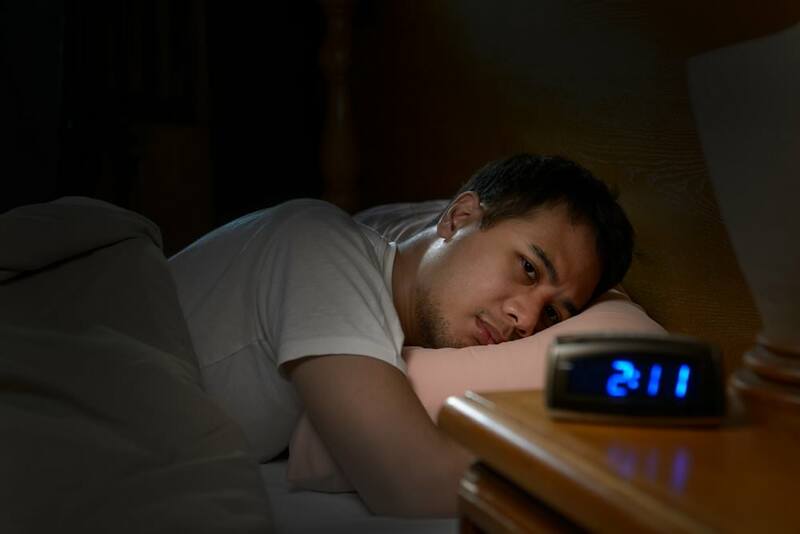 Whether this sleeplessness is due to strain or a busy schedule, it can put too much strain on your eyes. Consistently staying awake or even not getting deep, quality slumber can result in uncontrolled twitches. Besides other factors like stress, HeartMath attributes sleeplessness to aging as well. According to it, above 50% adults over the age of 50 have some problems related to sleep. Elderly have more problems falling asleep than the young people. Do not compromise on your sleep as it can lead to long-term ailments much serious than mere eyelid twitches. These are just a signal, but if not taken seriously, they can lead to something more problematic. If you spend hours just trying to sleep, perhaps using an eye mask to give your eyes, some downtime may help. It can help you fall not only asleep faster but also stay asleep. Moreover, changing your mattress or investing in a mattress topper can help improve the quality of sleep. In addition, you can consider getting a better, supportive pillow for better sleep position. 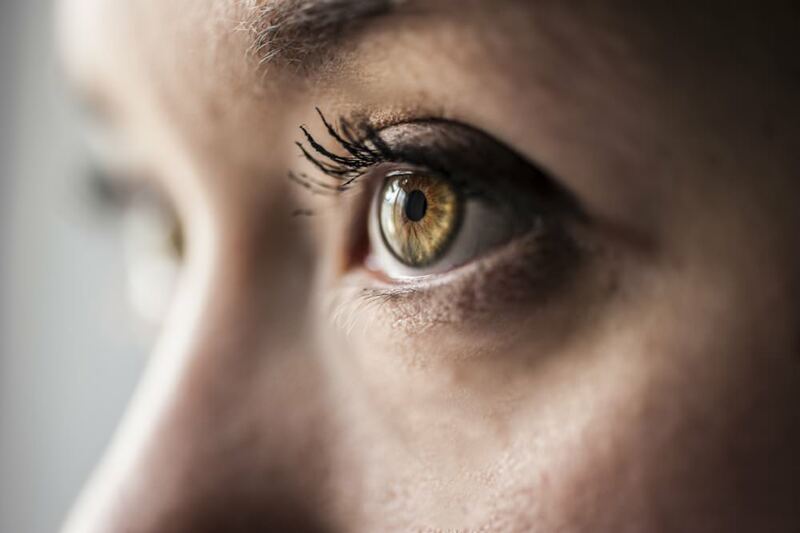 If eye twitches happen too often or last longer, they might be an indication of an underlying vision problem. For instance, your eyes might be in need of a pair of glasses, but you don’t realize. If you are already using one, you might need to change the number. If eye twitches prolong, it is recommended that you see an optician and get your eyes examined. Spending too much time in front of a computer screen can tire your eyes. Similarly, excessively looking at your mobile phone screen can put too much strain on your eyes. Eye twitches sometimes result from too much screen related strain. This indicates that you should give your eyes some rest by staying away from TV, computer or mobile screen. WebMd attributes dryness of eyes along with an array of other eye problems to computer vision syndrome. This term refers to a variety of eye problems resulting from excessive use of computer screen. It can lead to irritation of eyes, dry, red eyes, blurred and double vision. In many cases, the involuntary muscle spasms are a result of the deficiency of certain nutrients. This may result due to improper diet. A diet which lacks on a certain nutrient group can lead to many issues. One of these might show up in the form of too frequent eyelid twitches. If you doubt that it might be a reason in your case, consulting a doctor is recommended. Sometimes, too much rubbing of eyes can lead to the release of histamine into the eye lids. 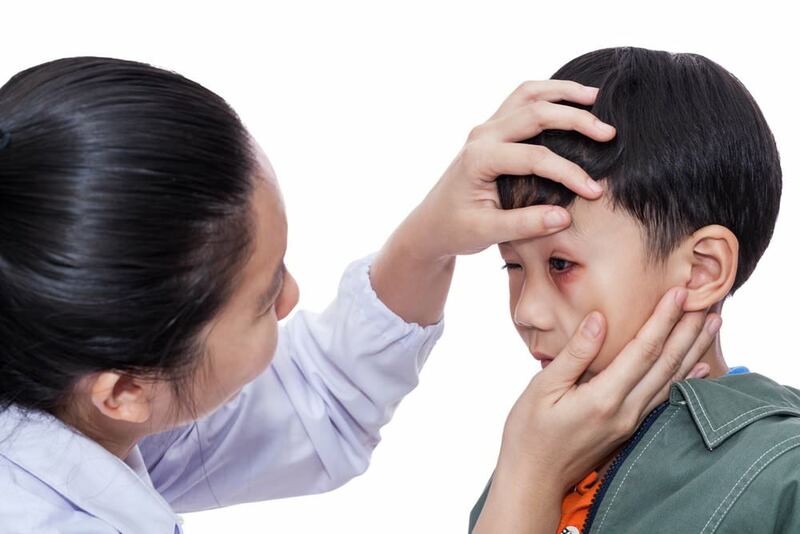 It can happen if you have an allergy which leads to itching or it can be caused due to swollen and puffy eyes. The release of histamine due to rubbing of eyes can cause twitching of eyelids. Consult an optician and he may recommend some medications to help reduce the release of histamine. However, keep in mind that even antihistamines can lead to dry eyes. So it would be better to treat the underlying cause of allergy and irritation. In some rare, severe cases, the eye would not stop jumping no matter what you do. This can be frustrating. If the twitching continues for weeks or it’s frequent, there’s one last remedy in the form of a botox injection. However, it is used only if all the above remedies have failed. Moreover, if the twitching doesn’t restrict to eyes and is affecting the face as well, consult a doctor immediately. It can indicate a more serious underlying condition. Similarly, if the eye twitches in a way that it is difficult to open the eyelid, this too can be serious. However, these conditions are rare. Whether it is due to a silent lover or an underlying medical condition, eye twitches seldom are bothersome. However, if they are, I would suggest you seek medical attention rather than waiting for something good or bad to happen. Being a man of science, I do not believe in the superstitions attached with jumping of an eye. I would rather call it a simple muscle contraction caused by either of the above mentioned medical reasons.However, it is all a matter of belief. People in many parts of the world hold firm belief in the superstitions related to jumping of an eye. They believe that the jumping off left eye has to do with your luck. Do you share my opinion or are you a believer in the superstitions? Let us know in the comments.